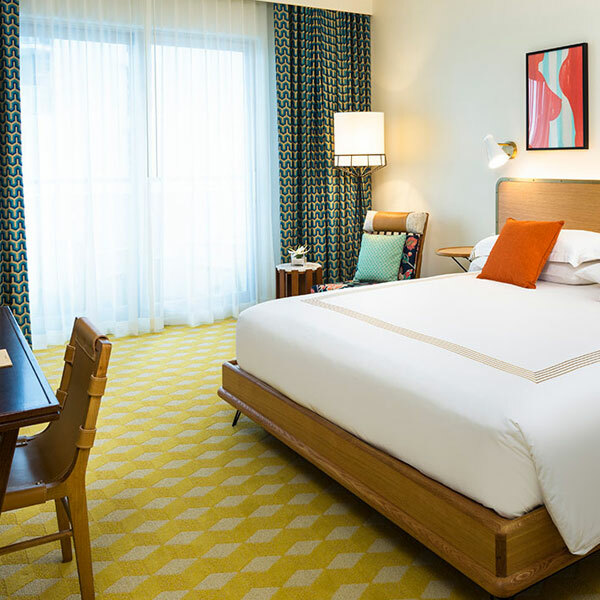 Hyatt’s Unbound Collection is something of a stealth brand — you won’t find big Unbound banners or aggressive Hyatt branding at any of its hotels. They’re meant to stand on their own as independent boutique hotels, with the crucial difference that they’re managed by a team with the kind of experience that the big chains spend decades accumulating. So it’s no surprise if things at the newly acquired Confidante South Beach run a little more smoothly than before. 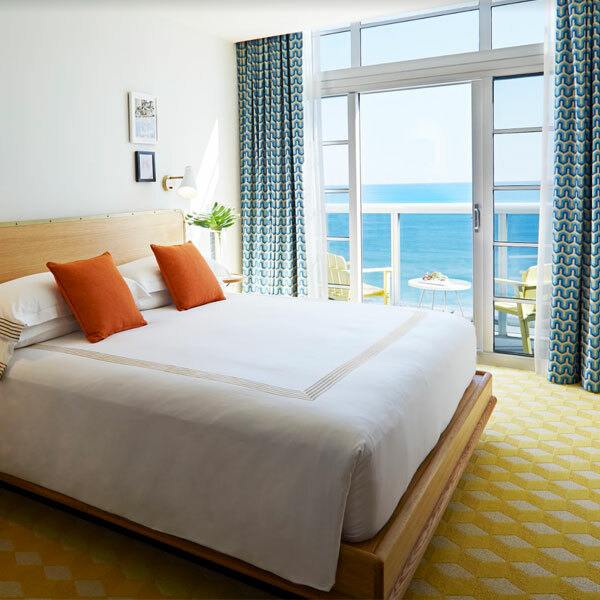 It goes without saying that the 380-room hotel sits on prime beachfront real estate: the fact that it’s north of SoBe proper, slightly outside of the action, is advantageous, if you’re a grown-up. The Confidante comprises three towers, one of which is a revamped 1940s Art Deco skyscraper. 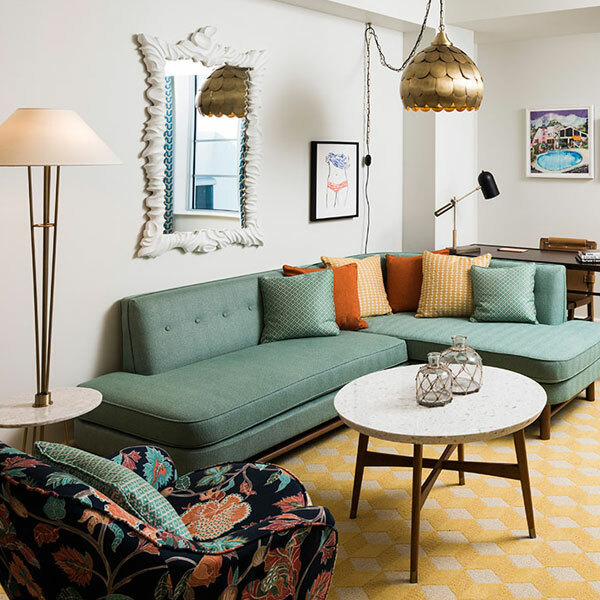 And in a refreshing departure from the design principles behind many of the best hotels in town, the aesthetic isn’t simple beach chic, but rather mid-century with a modern twist. Think colorful patterned rugs and sectional sofas, art deco chandeliers, 1950s-inspired armchairs upholstered with cheerful florals, and vintage bar carts that look straight out of Mad Men. There’s an attention to detail, and a sense of historical whimsy, that will make you think twice about how much you really care for all-white decor, anyway — the suites, in particular, are like mini-museums filled with interesting artwork and unexpected design pieces. 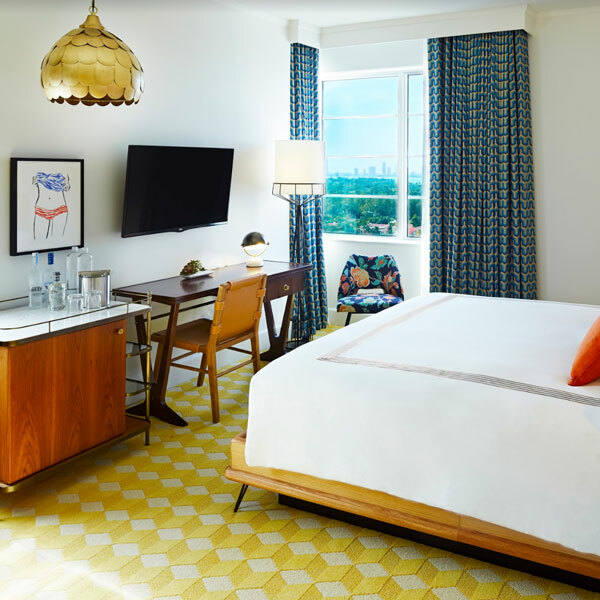 In-room amenities include custom-made 400-thread-count Sferra linens, bathrooms with rain showers and bathrobes by Frette, and large flat-screen TVs with complimentary film libraries when you need a break from the sun. Outside, classic striped cabanas, chaise lounges and palm trees surround swimming pools set within a lush tropical grove. Seagrape is the casual Floridian eatery, while the Backyard serves al fresco fare by the pools and garden, centered on what’s arguably the true highlight of the Confidante. The venue centers around a historic bungalow that used to sit across the street, which was entirely dismantled, including the original limestone fireplace, and transplanted it into the hotel, where it’s found a second life as an incredibly charming indoor-outdoor artisanal cocktail bar set in a candlelit garden.